Hey, everyone! Hope you're all having a wonderful weekend. It has been gloomy the past two weeks here and I just pray the sun will be back soon as I've had enough of this dreary weather. 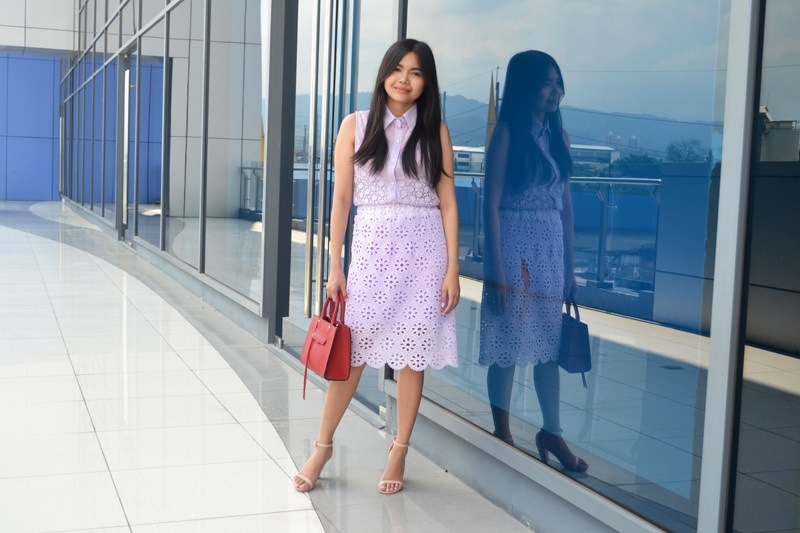 Today's post is featuring the broderie anglaise look that I wore last month to #SartorialSummer, the lifestyle festival culminating Ayala Centre Cebu's Happy Colorful Summer Campaign. 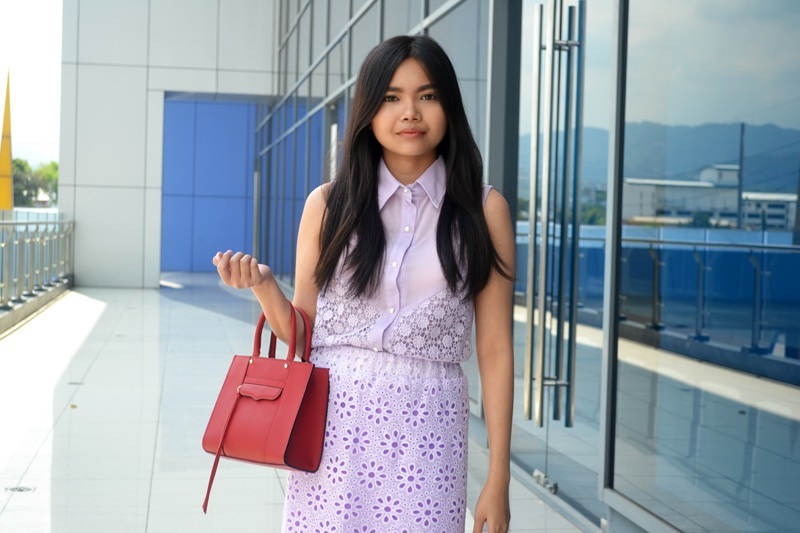 In keeping with the event's vibrant atmosphere, I opted for a matching lilac top and skirt pairing. 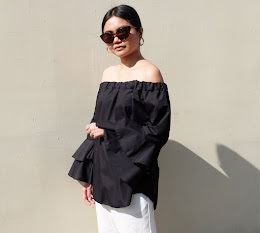 Monochromatic outfits can sometimes appear rather plain-looking so the trick is to select garments with unique details. Aside from intricate beading and other embellishments, another great way to add character to a simple look is by choosing a textured style of fabric such as this broderie anglaise skirt I'm wearing. This 1970s trend, as seen on the Valentino SS2015 runway, is a huge hit this season and a more casual alternative to its formal counterpart, lace. I'm obsessed with this pencil skirt and see myself wearing it with over-sized sweaters and off-shoulder tops.